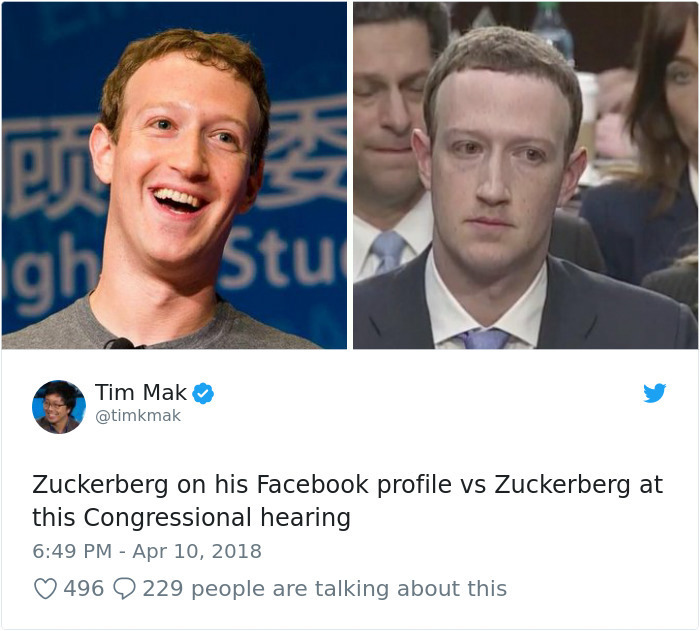 The 33-year-old multi billionaire Mark Zuckerberg recently had to don on a suit, get serious and appear before congress about the scandalous privacy leak in the largest social media website today – Facebook. 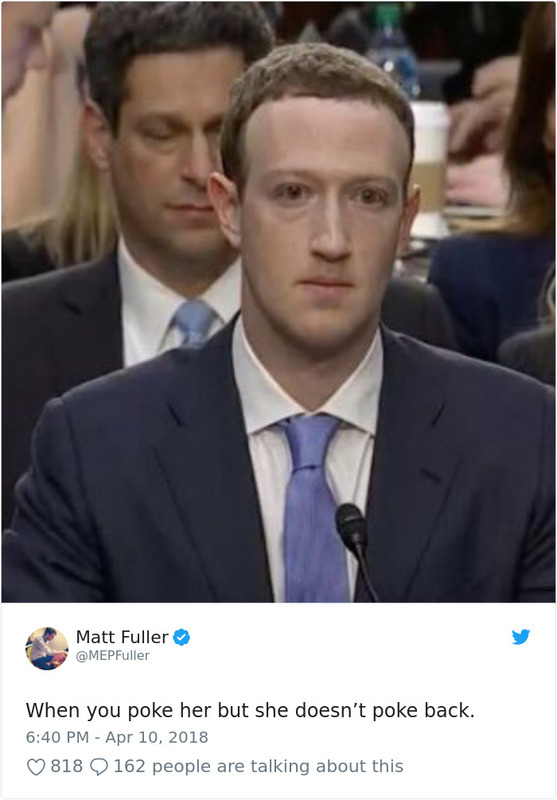 It all started when a political consulting organization called Cambridge Analytica stole data from almost 90 million of Facebook's users. 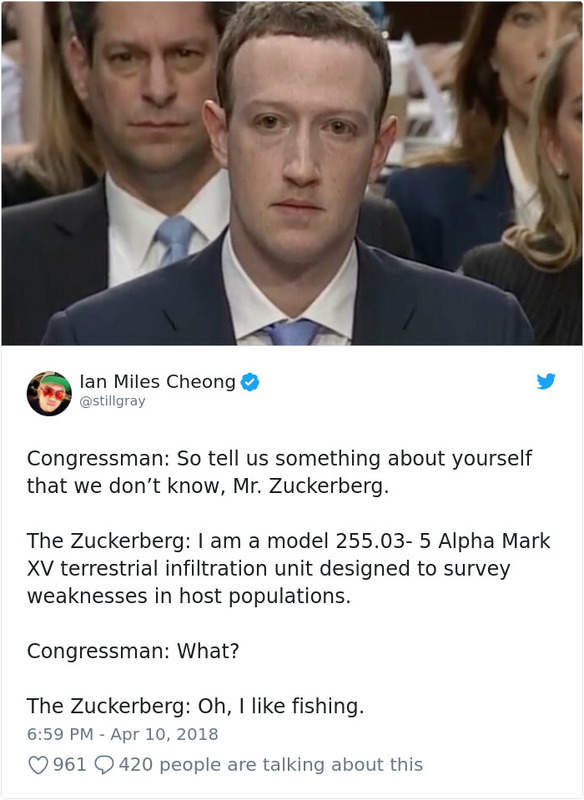 The mind-blowing extent of the privacy breach got all the way to capital hill where a hearing was conducted with Facebook's CEO appearing in the live hearing in front of the public. 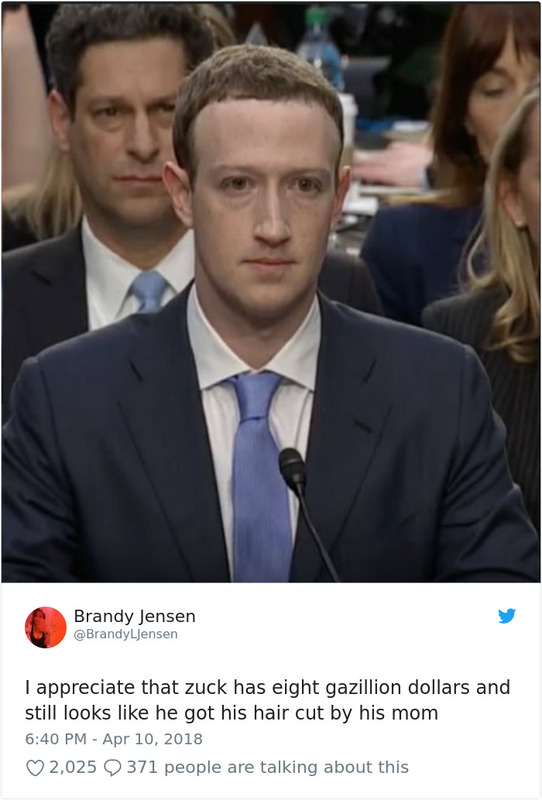 During the 5-hour hearing the internet was buzzing all around and hilarious memes started popping up every where. 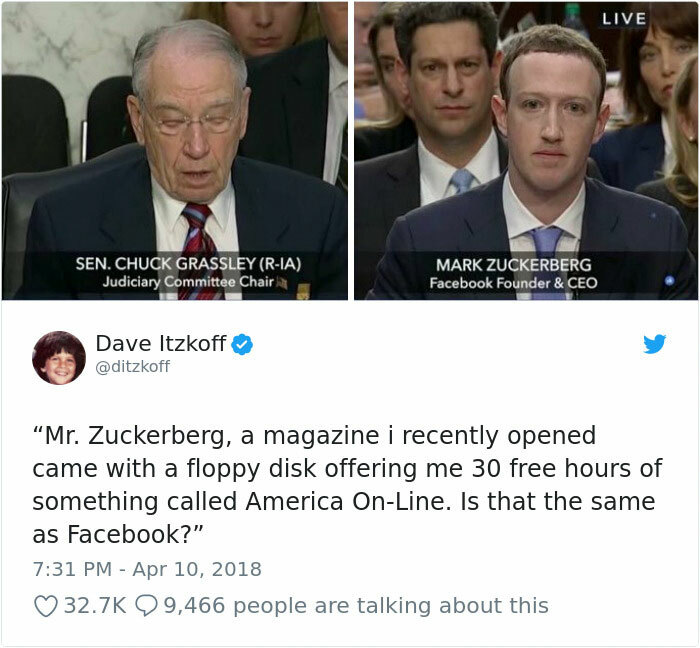 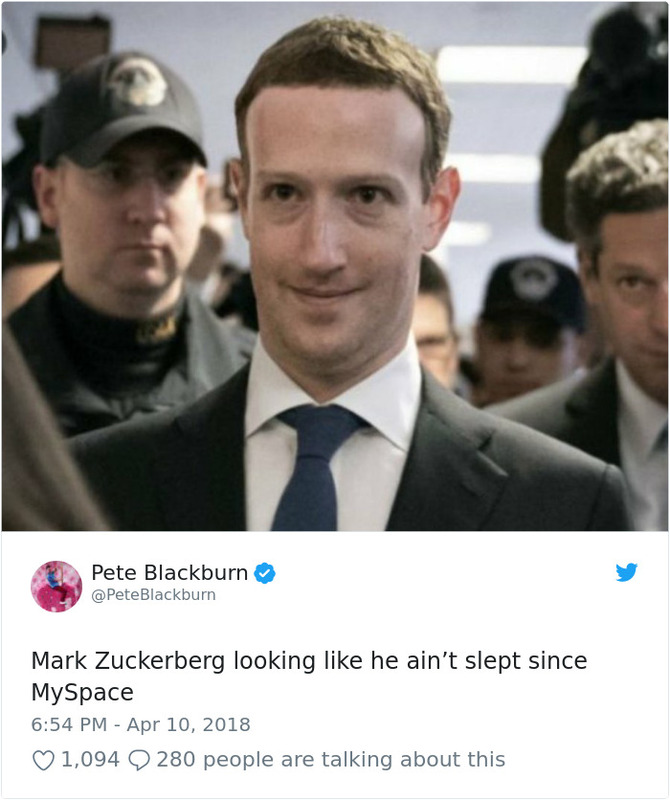 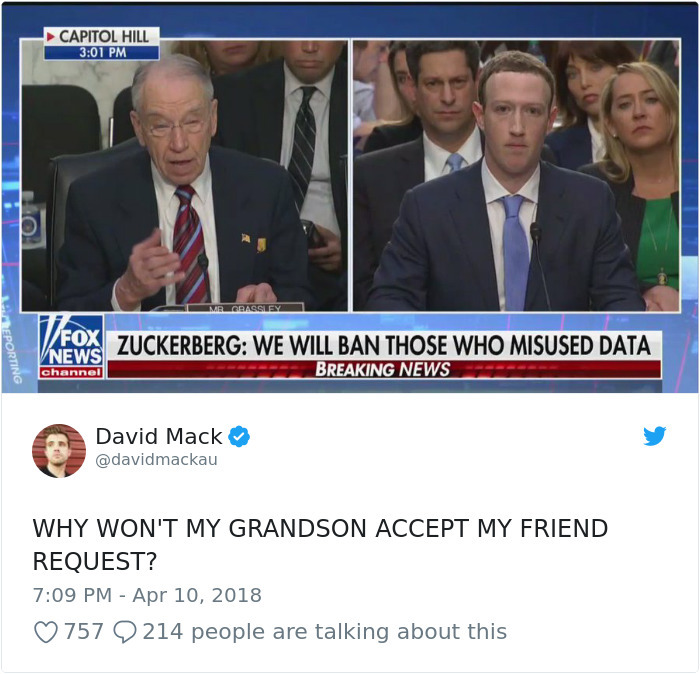 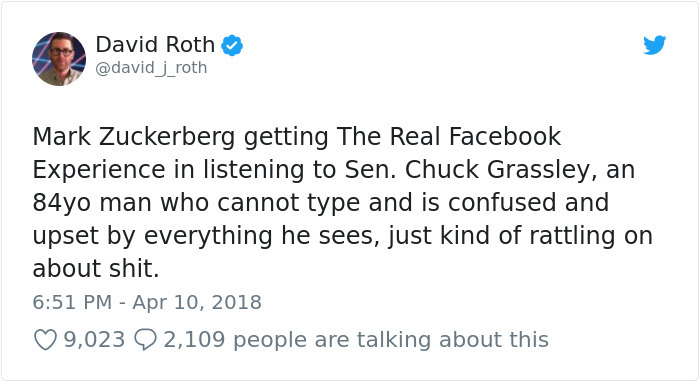 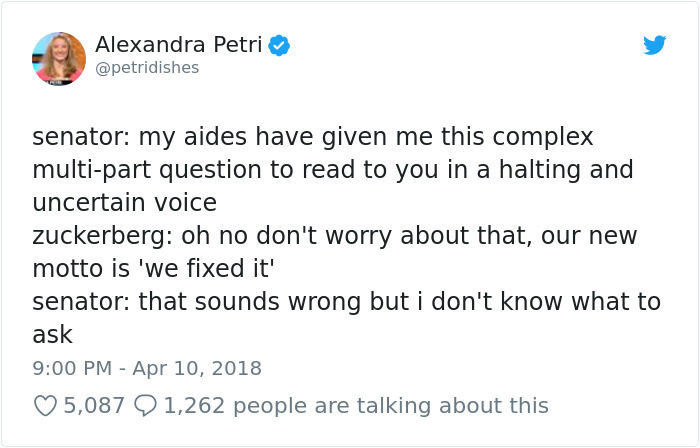 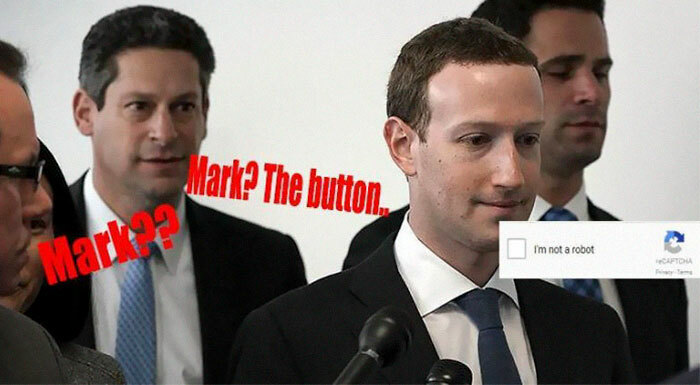 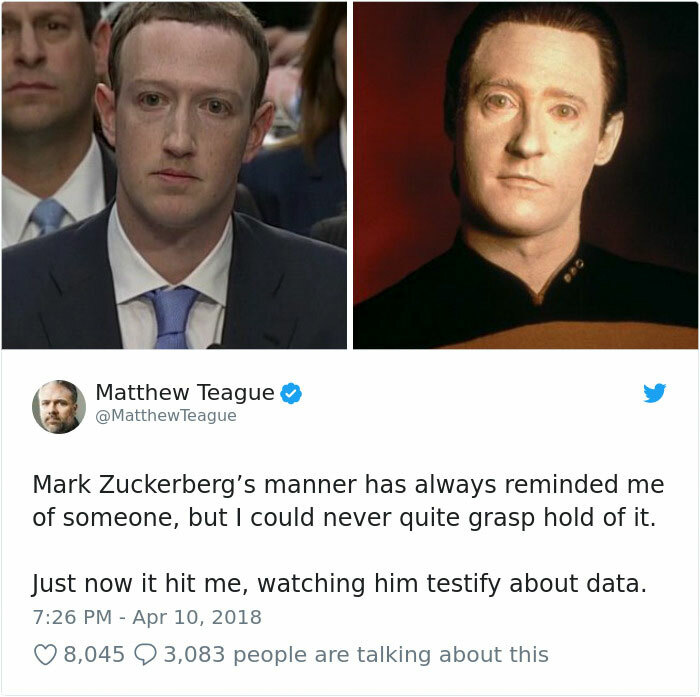 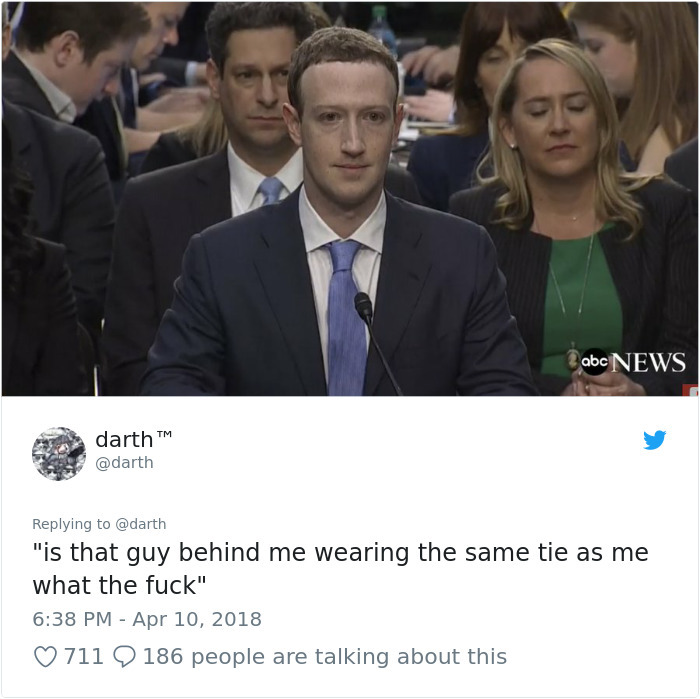 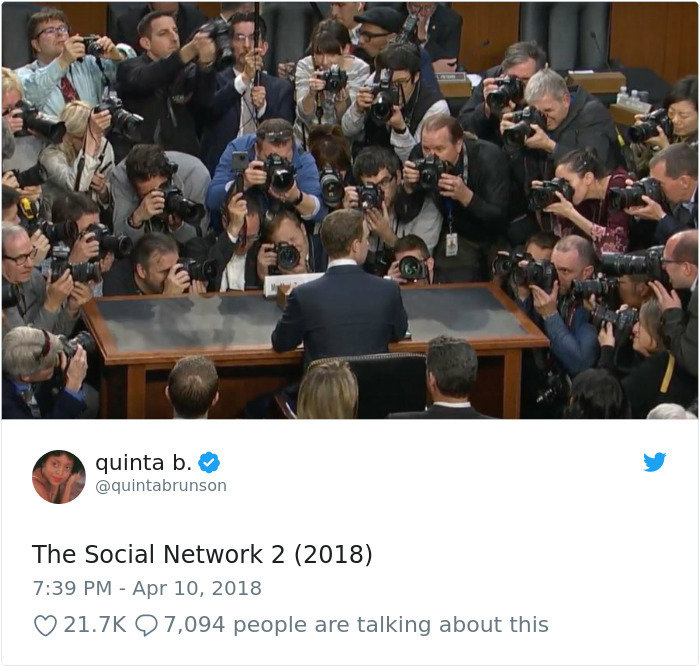 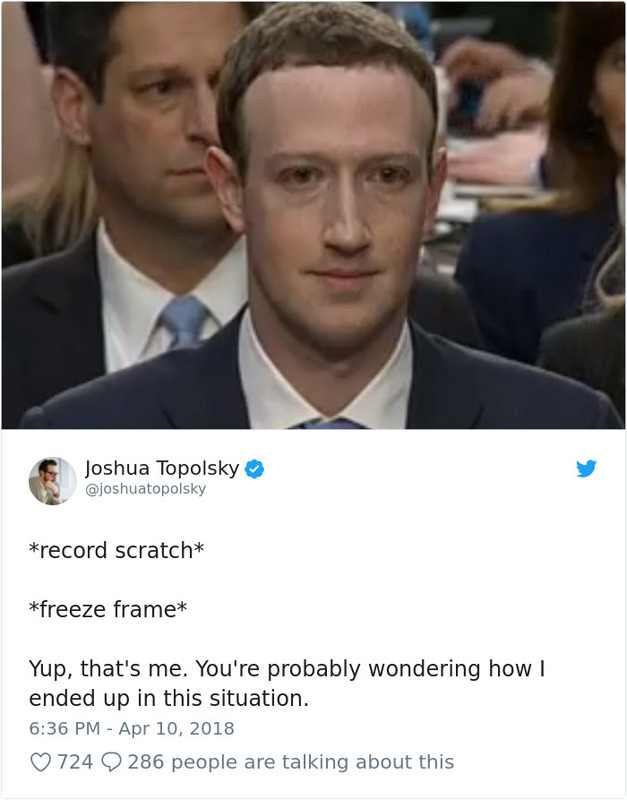 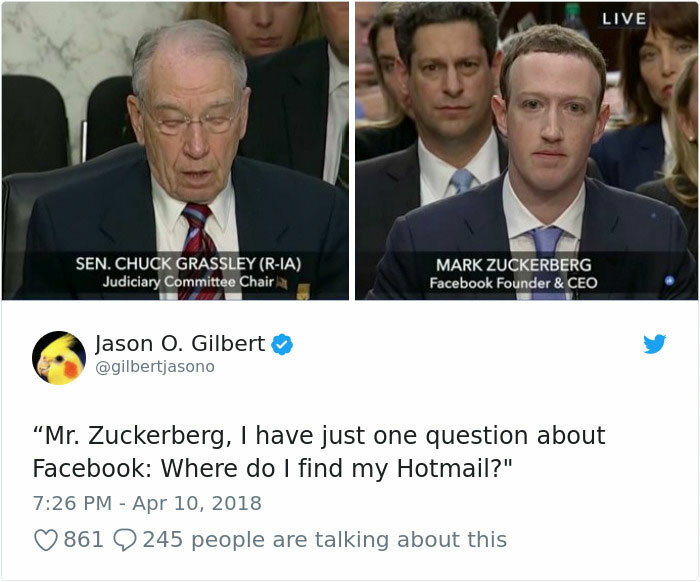 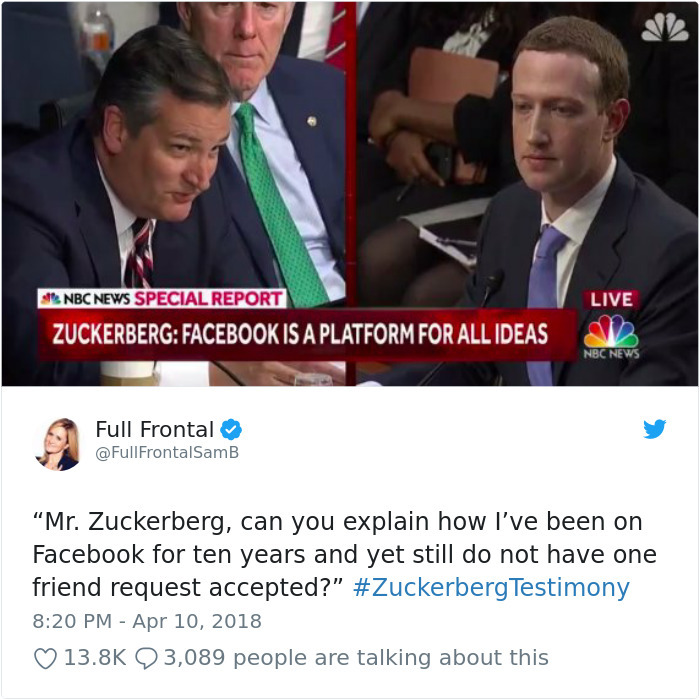 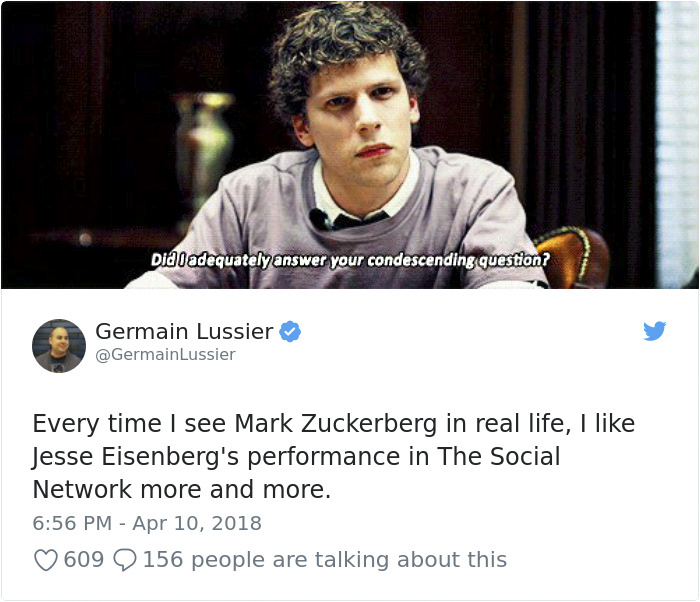 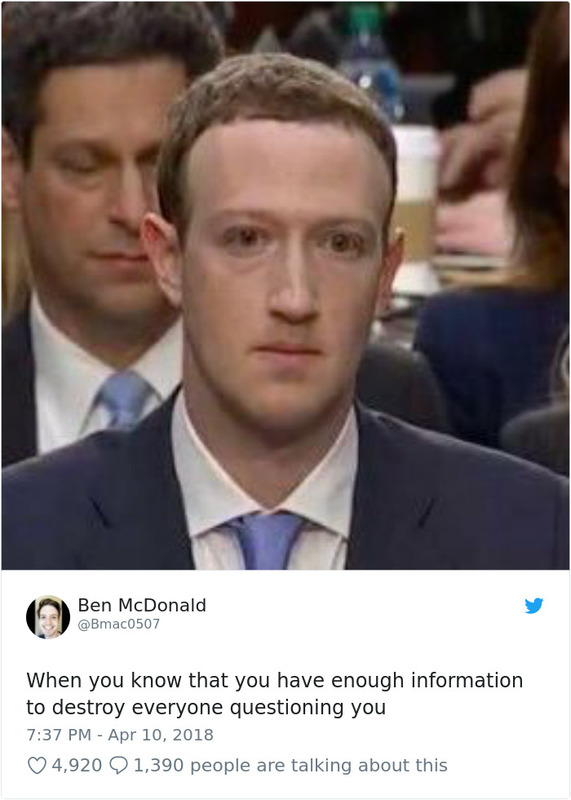 Hopefully Zuckerberg was a good sport when he saw the memes about him, and until we figure out if that's the case, it's time to enjoy some of the meme highlights of the past few days.